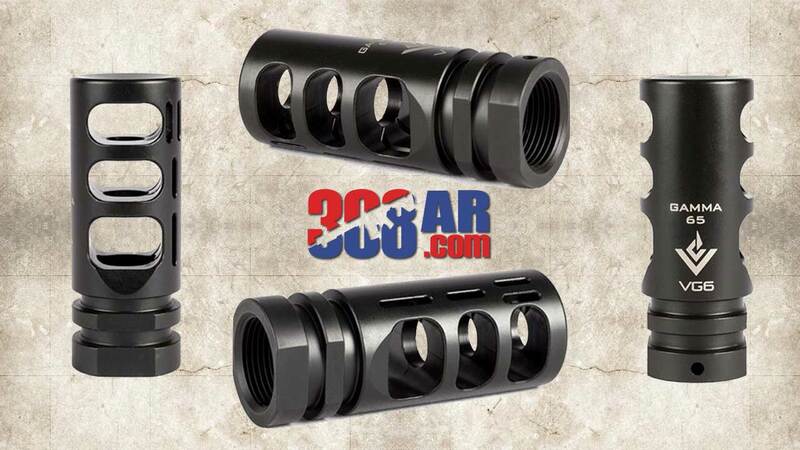 VG6 Precision has replaced their popular and well regarded Gamma 6.8SPC with their new VG6 Gamma 65 hybrid muzzle brake and compensator. The new Gamma 65 muzzle brake is suitable for 6.5 Creedmoor, 6.8SPC, 6.5 Grendel and any other 6.5mm caliber bullets. If looking for a hybrid brake /compensator for your next build, or to update your existing rifle, the VG6 Gamma 65 should be a consideration. * Do not use with any other muzzle attachment devices like sound suppressor. Please use the GAMMA 65 alone.